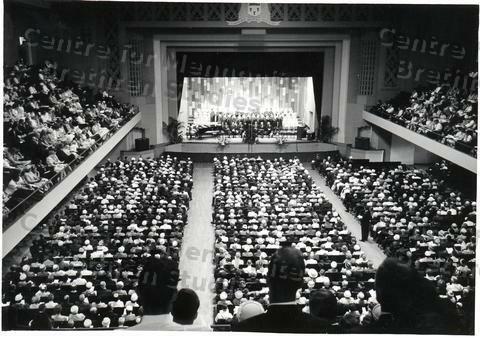 This photo is of a large group of people in the Civic Auditorium in Winnipeg. A choir is on the stage. The main auditorium and the balconies seem to be filled to capacity.